Did you know that HEIDENHAIN TNCs are used in forming tempered steel tools in the automotive industry? HEIDENHAIN TNCs are used to control high speed machining tools for milling of forming tools made of tempered tool steel in the automotive industry. 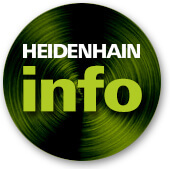 HEIDENHAIN’s TNCs are often chosen for this because of their high surface finish and accuracy speed. The pallet management functionality of TNCs allows them to run night and weekend shifts reliably. Click here to see one example of such instance at Hirschvogel Automotive Group in Germany.